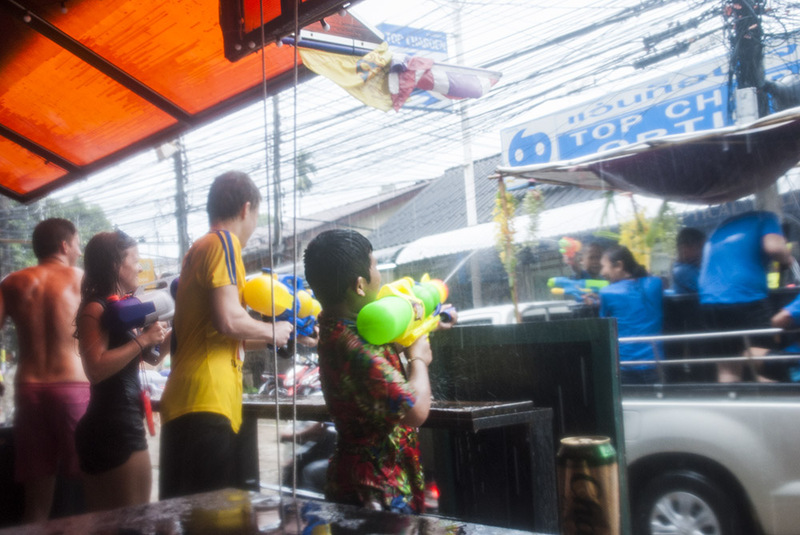 To celebrate the new year, the entire Thai population (plus farangs) engage in a massive week-long alcohol-fueled waterfight in which everything and everyone is a target. 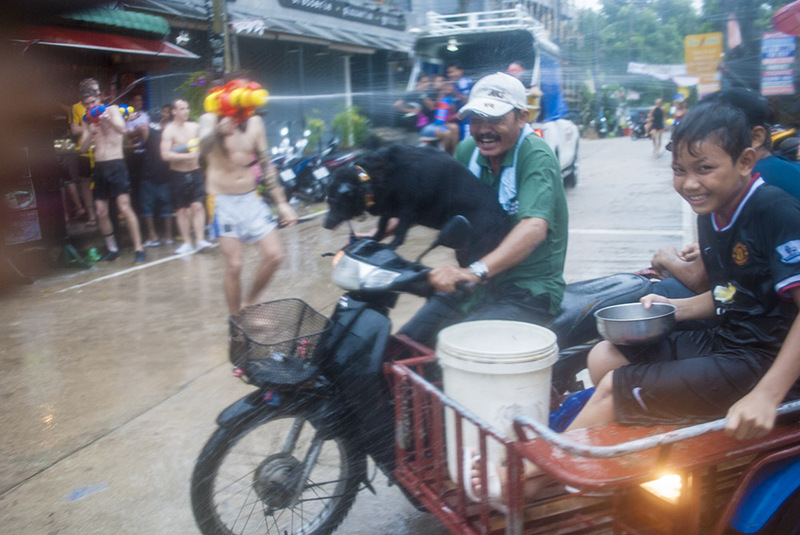 Here on Koh Tao, Songkran only lasts a day. 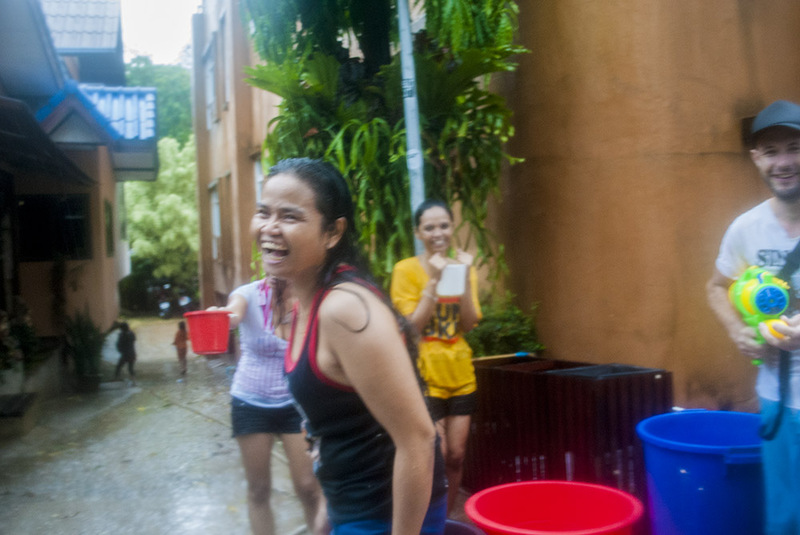 The rain poured relentlessly, the taxi-drivers filled their water guns with ice water, and you had several layers of Burmese face paste smeared over you and your clothes. You decided to take a gamble and bring your camera out with you wrapped quite masterfully in two clear plastic bags, the wrapping from a loaf of bread, three elastic bands and half a roll of sellotape. Who needs expensive underwater housings? More Koh Tao posts coming soon! They absolutely are! Never seen so many people so happy all at the same time. 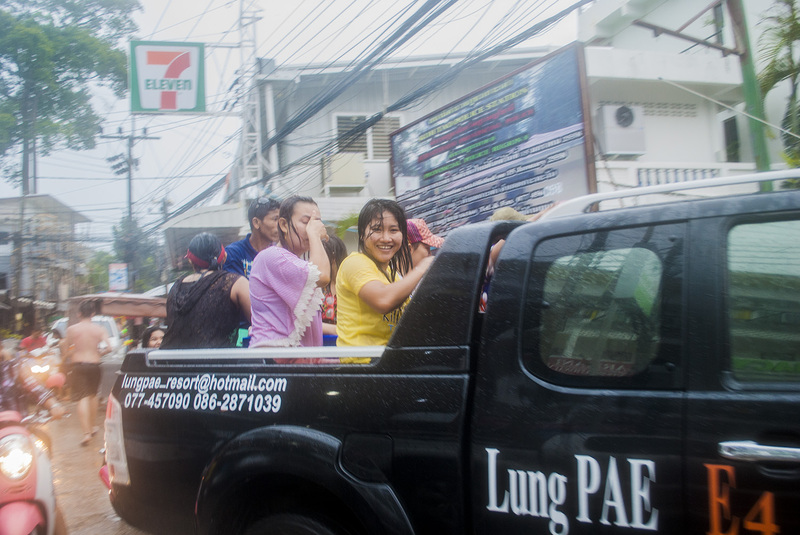 Even the Burmese migrants were cheerful! Thanks! It was epic, until about 4pm when everyone wordlessly acknowledged that it was time to finish up and get home for a shower and a hot meal. I received many a nod from underwater photographers with their rated-to-40-metres waterproof camera housings. You can imagine my trepidation when I unwrapped the camera at dinner time, unsure whether I would have to put the whole thing in rice or not. Fortunately, it had stayed bone dry! Yay! Fabulous! Must have been so much fun. Oh it was. Quietly glad that it only lasted a day though (since we have water shortage problems from time to time)!